It is almost impossible to prevent your new car from eventually having a minor dent or ding. 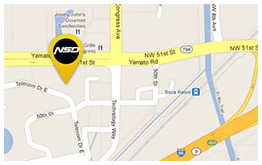 With NSD's PDR Travel program you are ultimately protected from occasional dent and dings. Protect your new car buying experience today! Wherever you are parked, you'll enjoy the secure feeling of knowing you are protected by the Nation Safe Drivers PDR Travel Program. 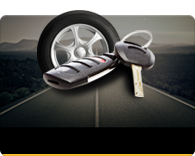 Fast response and excellent service are just two reasons why millions of motorists rely on Nation Safe Drivers for vehicle protection. Members will be able to obtain hotel discounts, low airfare, and rental car discounts online. Members may go online or call toll-free to obtain the industry's best hotel rates. Personal travel consultants stand ready to assist you in planning great romantic or family getaways. Members enjoy up to 60% off name brand mail-order contact lenses. Please ask your finance consultant or sales advisor for details of the program.